The first set of Bermuda forts were built when the official British settlement began in 1612 under the command of Governor Richard Moore. These forts although small were quite effective. These were built to defend against possible Spanish attacks. One very unique thing about all these historic forts in Bermuda is that they were all built using stones instead of timber. During such time, the forts in British North America, and Spanish & French occupied territories were made of wood. That's the reason why several of these forts have survived the test of time. There was only one fort in Bermuda that was built using timber which caught fire and completely burnt down in 1620. Most of the forts in Bermuda had supporting infrastructures and homes for the gunners and officers. The first few forts in Bermuda were constructed at the North-Eastern coastline. This was due to the fact that St. George's Town located at the eastern end became the first capital of Bermuda and protections through the natural barrier reefs along the north-eastern coast was inadequate. Subsequently in late 1600s, there were some small forts built along the south shore as well. However, the defense activities in Bermuda remained quiet for many years subsequently and the need for further fortifications took a backseat. But a flurry of activities began once again when Britain lost all their ports along the Atlantic coastline in 1783 following the American War of Independence. Since Bermuda was located between the British possession of Canadian maritime in the north and West Indies to the south, the British decided to use Bermuda as the strategic point for their defense in the north-west Atlantic area. Large forts were built along Bermuda's most vulnerable shoreline of north-east. Royal Engineers along with British Army and Royal Navy also built the Royal Naval Dockyard at the western end which was surrounded on three sides by a large fort. 1783 onwards, all the forts were built by the British to defend against possible attacks from the U.S. Some of these forts had to be re-modeled towards the end of 1800s as the nature of artillery changed and new guns were invented. However in whole of Bermuda's history, except for one occasion of Spanish attack in 1614, the forts never had to fire in anger. Gradually over time and after the world wars, the forts in Bermuda started losing their significance. After all, the British and Americans became allies in both the world wars. U.S assumed the responsibility of protecting Bermuda's coastline during the world wars and moved its army into Bermuda. During the world wars, the most feared enemies were France and Germany. In 1957, the British troops left the island although the Royal Naval Base and U.S navy operations continued for few more decades. Finally, in 1995 both the British and U.S navy departed leaving behind over 90 forts dotted around Bermuda, 16 of them so small that they are called mini forts. Many of these forts today are major tourist attractions in Bermuda. St Catherine Fort: The first Governor of Bermuda Richard Moore built this fort in the early 1600s to protect St George (which was then Bermuda's Capital) against potential enemy attacks. It was later renovated several times. The fort is located in St. George and at the north-eastern tip of Bermuda. With great many historic exhibits & artifacts in its in-house museum, well-preserved interior, and beautiful location overlooking the ocean, fort St. Catherine is one of the best forts in the island to visit. Fort Hamilton: Built in 1870s, Fort Hamilton is located at a picturesque spot in the outskirts of Hamilton city overlooking the shoreline, the harbor and the beautiful landscaped gardens. It was constructed to protect Hamilton Harbor. Fort Scaur and Park: Fort Scaur is located on a hilltop at Somerset in Sandys Parish. The fort was built in the 19th century by the British to defend attacks on Royal Naval Dockyard from Americans. It is set up on a 22 acre lush parkland with walking trails in it. Once guns weighing 64 pounds each were mounted here on mobile carriages. They have been removed. Alexandra Battery: Built in the 1860s at the eastern edge of Bermuda at St. George's, Alexandra's Battery was last manned during the world war-II. You can still see the old Rifled Muzzle Loader gun. However in 1900s, two new guns were installed. None were ever used though. Castle Island and nearby forts: There are a number of forts of historic importance in Castle Island and other islands close to it. The islands are all in Castle Harbor in St George's Parish. One such fort is King's Castle Fort, which is the oldest fort in the island built in 1612 and also the oldest stone fort in western hemisphere. Whale Bay Battery and Park: The Whale Bay Battery is located at Whale Bay Park in Southampton and has a sweeping view of the ocean. It was completed in 1876 to thwart enemy attack on Royal Naval Dockyard from south shore. The original fort which no longer exists, was built in mid 1700s. Fort George: This is a single tower fort which was built originally in 1612 to guard the north shore at St George. However it was badly damaged by hurricane in 1619 and had to be completely renovated in 1788. Gates Fort: A small fort built in the 1600s to stop enemy boats to enter from the open sea into the St. George's harbor. Fort Cunningham: Located in Paget Island in St George's Harbor, the fort was built in 1875 and came up after several reconstruction of the earlier Paget Fort. St David's Battery at Great Head Park: The fort located at the eastern most point in Bermuda at St. David's Island. It has two powerful guns of early 1900s that had a range of 7 miles. Martello Tower: Located at Ferry Point in St George's, this egg shaped fort was built in 1828 by the British Army. It protected the water channel Ferry Reach in St George. Burnt Point Fort: Built in 1688 by the British, this fort was used to guard the western entrance of Ferry Reach channel. Ferry Island Fort: Built originally in the 1790s, the Ferry Island Fort is located offshore on an island called Ferry Island. This fort was built by the British to protect the important ferry line that served as the only connection between the main land of Bermuda and St. George during those days. Fort Popple at Little Head Park: Built in 1730s at St. David's island, Fort Popple was named after the then Governor Alured Popple. It was built as a reinforcement to the other forts in St George which were becoming dilapidated over time. The Keep is the 6-acre fort area in Royal Naval Dockyard where the National Museum of Bermuda (erstwhile Bermuda Maritime Museum) is now located. It is in Sandys parish and in the port area where most of the commercial cruises dock these days. This fort was built by the Royal Navy in mid 1800s to protect the dockyard against enemy attacks. The lower level served as the huge bomb proof storage room which had a capacity to stock over 6,500 barrels of gun powder. It also had a store room for shells and also a filling room and shifting house. Small boats (called Lighters) were used to transport ammunitions between the fort and the navy ships anchored at the bay. The boats loaded the ammunitions at the Keep Pond in the fort premises. This pond is now used by Dolphin Quest to train and demonstrate dolphin activities. This battery is located in Sandys Parish near Wreck Hill. It once guarded the channel at the western end of Bermuda which was one of the most difficult passages for the ships to navigate through due to the many reefs in the water area. Gunpoint fort was built in the 17th century during the early British settlement days in the island. On one occasion during the American Revolution in 1777, two American ships attacked the fort. After exchange of gun fires, the British soldiers had to initially retreat giving way to the Americans. In about six days, the Americans destroyed the walls of the fort and damaged the guns at the fort. However they had to flee on their own vessels once the local soldiers came back with bigger strengths. Gunpoint Fort can be accessed via Wreck Road off Middle Road in Sandys. The entry to Wreck road is about 200m from Somerset Bridge and then it's about a mile walk (better to take a scooter). Albert Fort and Victoria Fort: Both these forts are located in St. George's in Retreat Hill and were built in mid 1800s to protect the north eastern coastline of Bermuda. Fort William: This is another fort at the eastern end of Bermuda that was built to protect the Town of St. George's. Fort William was also constructed by Bermuda's first Governor Richard Moore. 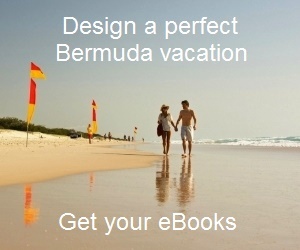 1) Check out Bermuda Sightseeing for many other great attractions in Bermuda.